Anton Ivanov is a US Navy veteran, real estate investor and entrepreneur with a 35 unit rental portfolio spread out across 4 states. His portfolio generates over $10,000 in monthly passive income, and requires less than 1 hour a week to manage. Anton is the founder of DealCheck – the leading real estate analysis platform for quickly analyzing and comparing rental properties, flips and commercial buildings. DealCheck is used by over 75,000 real estate investors, agents and professionals worldwide. 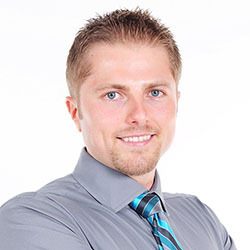 Anton is passionate about helping others achieve lasting wealth through real estate investing and is active on many online real estate communities. Why did you decide to start investing in real estate? How did you buy your first rental property? What made you decide to invest out of state? What do you think about turnkey properties? How did you grow your portfolio so quickly? How do you manage dozens of rentals all across the country? How do you manage a full-time career, a profitable startup and your real estate portfolio? What is DealCheck.io and how is it helping thousands of investors analyze investment properties? Do you have any advice for somebody just starting out on their real estate or entrepreneurial journey?